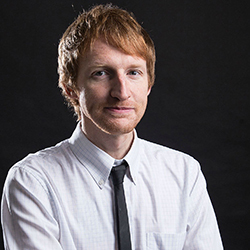 Based in Hong Kong for eleven years, Tom is a British multimedia journalist. He has a BA in Communications & New Media from Leeds University and an MA in Journalism at the University of Hong Kong. He reported closely on the 2014 pro-democracy Umbrella Movement protests and his writing and photography have been featured in Quartz, Global Post, Huffington Post, Time Out, Vocativ, New Internationalist, Ming Pao, DPA, EPA and others. He has also contributed to BBC World TV, BBC Radio, Democracy Now, CTV, Russia Today, RTHK Radio, Sky News and Channel News Asia. He has spoken at various universities and media conferences on topics such as advocacy journalism, new media, press freedom and Hong Kong’s ‘Fifth Estate’. In 2012, he founded the popular Hong Kong news and culture platform, hongwrong.com. In 2013, he co-founded a multimedia advocacy and legal campaign for domestic workers.